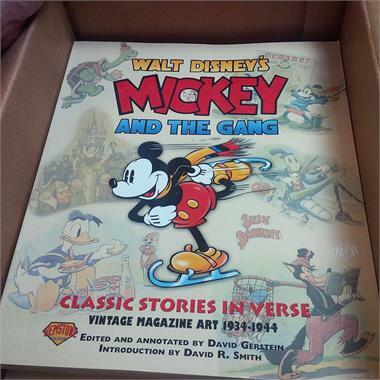 New copy of Mickey and the Gang: Classic Stories in Verse Softcover from Gemstone Publishing. US$13.90 which includes shipping with USPS Media Mail within the continental United States. Orders placed before 4PM EST ship same-day. Published: December 6, 2005, Original Cover Price: $29.95 1st printing. 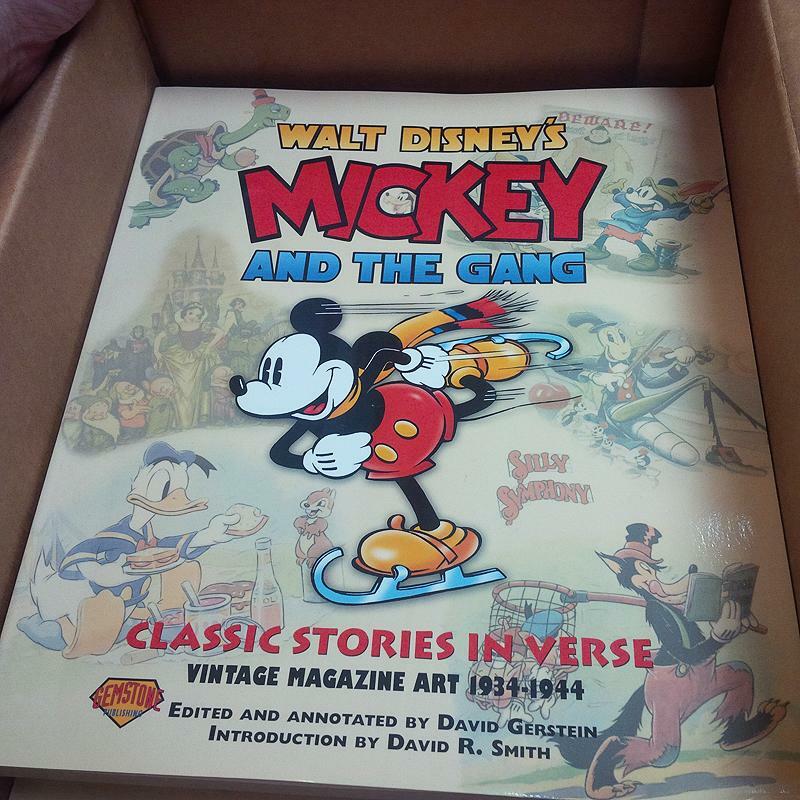 A complete collection of beautifully rendered Disney art, graphically depicting both produced and non-produced Disney cartoon shorts from the 1930s and 1940s. These story ad pages were utilized by Disney in Good Housekeeping Magazine to both promote their cartoons and to act as springboards for other merchandising. This handsome coffee-table book collects all of those ad pages and matches them up with many examples of the other material that sprang from them. Softcover, 360 pages, full color. Cover price $29.99.